There's no escaping the fact: if you want to win chess games, you have to attack at some point. Many players are happy solving combinations in winning positions, when the hard work is already done, but the key to a successful attack undoubtedly comes much earlier. No-one can attack effectively if they haven't prepared properly, and yet planning in chess can be a difficult technique to master, even for experienced players. This book provides a solution. Using an abundance of illustrative games and examples, Gary Lane answers the questions which constantly puzzle players of all levels. How should I plan after the opening? Where are my opponent's weaknesses? Do I have enough pieces in the attack? When should I strike? Do I need to sacrifice? Should I cash in or continue to attack? Read this book, discover the answers and attack with confidence! 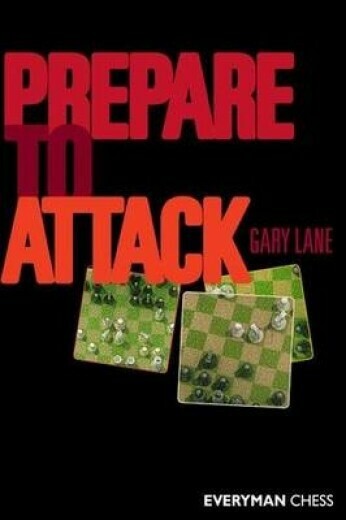 Gary Lane is a professional chess player and author. He became an International Master in 1987 and won the Commonwealth Chess Championship in 1988 (jointly with Michael Adams). He is a highly respected author having written over twenty books on chess.